CCC has a very large project ready to start and need experienced crews who are ready to work and willing to travel! Want to be hired by Collin? 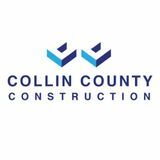 Collin County Construction is looking for Roofing Crews to join our team and get paid every week! We have a Government contract for a military base in Colorado and need experienced crews who are ready to work and willing to travel immediately. Additional government contracts are lined up for an immediate start upon completion of this project. First project is a total of 60,000 SQ and each additional project is approximately the same amount of work. This means 5 - 6 years of roofing work for anyone who wants to stay busy year-round to provide a 100,000 income per year for their family guaranteed. If you have a full crew of 7 or more roofers who are documented please apply. Additional pay will be given. We can build crews from individuals as well, so please apply even if you are not part of a full crew already. Traveling crews will be reimbursed for transportation cost and lodging will be paid for by the company. Pay Per Crew: $70 - $80 per square depending on 1 or 2-story, and steepness of roof. * 1 year(s) of hands-on experience in roofing. * Must be willing to travel for weeks at a time. * Crews must be able to provide some form of documentation for being in the US and NO Felonies. * Must be able to lift 50 lbs. regularly, repeated bending, climbing, and kneeling. * Crews and individuals must have their own tools. * Must be able to walk and stand on level and/or inclined surfaces for certain periods throughout the day. * Must be able to climb a ladder (40') and be comfortable working at heights. * Must be able to work in the extreme heat and cold. * Transportation to job sites daily will be provided by CCC. If you or your crew are interested please reply with a brief description of your experience level and verify you meet the minimum requirements. We are willing to negotiate on any of the issues you may have. This is an amazing opportunity to work for a good company that pays you every friday and gives you leave to see your family whenever you want, with your job still there for you when you come back!